While not known for its sport climbing, Scotland is home to numerous sport routes of all difficulties from French grade 2 to 9a. Bolted climbs are found across the country, from the Lowlands to the remote northern Highlands, and on hillsides to sea cliffs. Scottish geology and topography is complex, which has resulted in great variety of rock types and climbs. 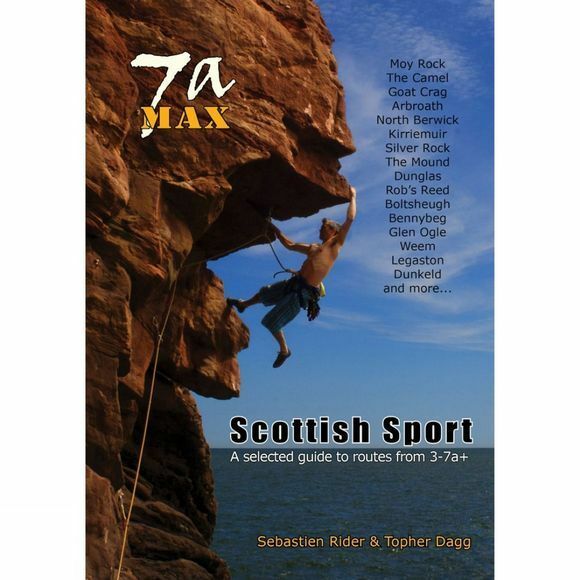 7a Max, describing all of Scotland's worthwhile mainland crags with routes up to 7a+, is aimed at 'weekend' and visiting climbers. According to the website, ukclimbing.com, 93% of sport routes logged are at or below 7a+. This focus has allowed for the production of a guide that is easy to use and will take you effortlessly to the best climbs.